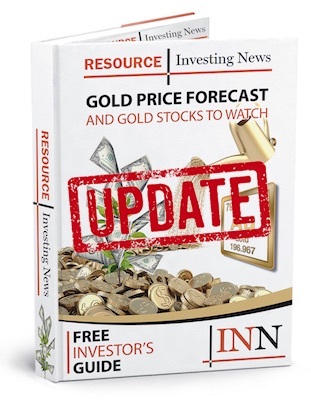 Mineral Resources, which is focused on iron ore and lithium projects in Western Australia, bought AU$2 million worth of shares at a five-day volume-weighted average price of 3.5 cents each. Australia-based Mineral Resources (ASX:MIN) has purchased a 10-percent stake of cobalt explorer Barra Resources (ASX:BAR), the company announced on Monday (September 10). Mineral Resources, which is focused on iron ore and lithium projects in Western Australia, bought AU$2 million shares at a five-day volume-weighted average price of 3.5 cents per share. “As Barra’s new second largest shareholder we will welcome the opportunity to provide input and support when Barra brings its projects into production,” Chris Ellison, managing director of Mineral Resources, said. Perth-based Barra will use the capital to complete a prefeasibility study (PFS) on the Mt Thristy cobalt-nickel oxide project, continue its systematic gold exploration programs at Coolgardie gold assets and for general working capital. “This investment by Mineral Resources adds significant credibility to the quality of Barra’s projects, Board and management. Barra is now fully funded through to the completion of the Mt Thirsty PFS and beyond,” Sean Gregory, managing director of Barra, said. Barra is developing the Mt Thirsty project, which is a 50/50 joint venture with Conico (ASX:CNJ), to produce cobalt suitable for the metal, chemical and battery markets. The project sat on the firm’s balance sheet as a “sleeper” for around 10 years, until a recent jump in cobalt prices brought the project back into focus, according to Gregory. In fact, cobalt metal prices on the London Metal Exchange have increased from US$32,500 per tonne in January 2017 to US$62,000 per tonne at present. Mt Thirsty’s indicated and inferred mineral resource stands at 31.9 million tonnes at 0.13 percent cobalt, 0.55 percent nickel and 0.86 percent manganese. According to a scoping study released in 2017, the asset has a 21 year mine life based on a 1.5 million tonne per year throughput. On Monday, shares of Mineral Resources were down 2.27 percent, closing at AU$14.18. Meanwhile, shares of Barra Resources jumped 21.21 percent in Sydney, closing at AU$0.04.